Brunswick Heads Dhinawan Baker pictured with Josephine Jobert. AN INDIGENOUS performer from Brunswick Heads could soon find himself on stage with Oprah Winfrey. Dhinawan, who uses dance, song and storytelling to promote cultural awareness around the globe, has been short-listed as a possible guest on Oprah’s show when the talk show queen visits Sydney in December. Tourism Australia, who are hosting the Oprah visit, have put Dhinawan forward and he is keeping an eye on his post and emails in the hope he will be accepted. What he will perform on the big night is still very much up in the air, and is dependent on the show’s organisers, and possibly even the doyenne of daytime TV herself. “It all depends on their agenda,” Dhinawan said. “I can give them anything from traditional dance to didgeridoo comedy. “In a perfect world I would love to do a 10-minute show – but I’d be very happy doing even a 30-second show!” he said. Dhinawan featured in several episodes of a French television series named Foudre, which were shot in Brunswick Heads earlier in the year. The episodes have already screened in Europe, much to the delight of the family of his French partner and business manager, Coco Hamel. Dhinawan has just returned from three weeks in Austria, where he starred in a children’s festival held in a 900-year-old monastery. He entertained the children with traditional games, including guessing the names of Australian animals from the sound he made with the didgeridoo, and giving them hands-on experience with the instrument. Just weeks before that, Dhinawan was in Germany and Holland, touring with the Ganga Giri band, helping out with vocals. He also travelled to New Zealand twice recently, the last time to help Tourism Australia with its campaign launch in the Shaky Isles. 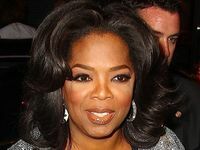 Tourism Australia is hoping the Oprah extravaganza, on which she will be accompanied by 300 audience members, will promote the country as a destination among the hundreds of millions who watch her show. Dhinawan attended a Northern Rivers Tourism Symposium last year, which is how he made the connection that led to the Oprah opportunity. The tourism body is holding another symposium at Peppers Salt resort on the Tweed next Monday and Tuesday. 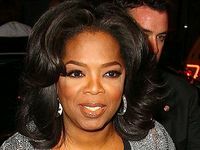 Oprah Winfrey, here I come!